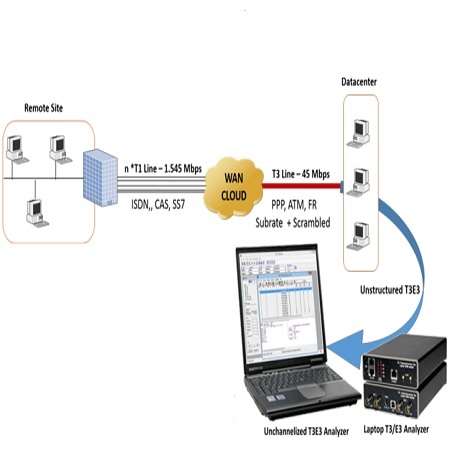 The channelized option in the T3 E3 Analyzer uses “software-only” approach to support direct access to all 2x28 T1s or 2x21 E1s or 2x16 E1s on a T3/E3 line per board for analysis and monitoring– all within a single PC, including differing T1/E1 framing formats, physical layer alarms, and payloads. GL's T3 E3 Analyzer also includes scrambling and subrate features. Subrate allows fractional bandwidth, i.e. less than the full 44.736 Mbps. Scrambling improves synchronization performance by randomizing repetitive patterns and long strings of zeros.